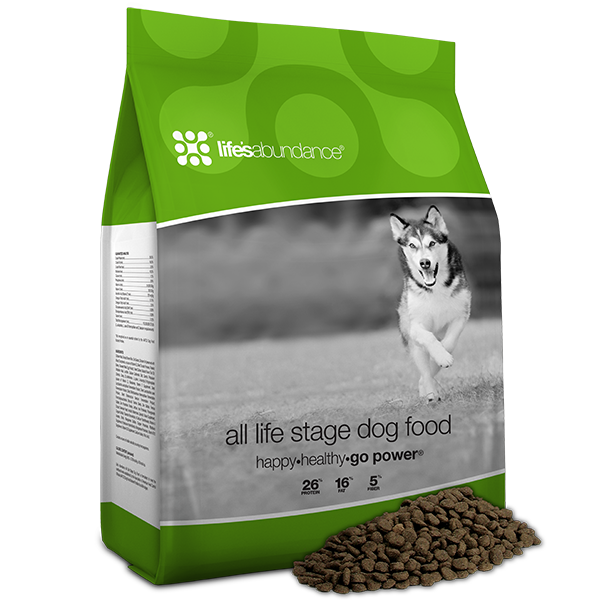 We have done extensive research on dog food and dog supplements, It can be very confusing this day and age knowing what food is the best for your dog. We have found that Life Abundance is one of the best products, if not THE best out there. Life Abundance has been developed by Dr. Jane Bicks, DVM who is nationally recognized authority on the holistic treatment of animals who manufactures their products right here in the United States. Dr. Jane has also been seen on CBC's 48 hours, ABC's Good Morning America, Fox's Good Morning New York, WNET's Romper Room and Reading Rainbow, CNN, PBS, Lifetime, The Discovery Channel, TV Food Network and numerous radio stations including WABC/NY, WNBC, WNYC, WQXR and National Public Radio. Animal Planet’s early days included Dr. Jane as the veterinary expert in frequent segments regarding all types of animals. Life’s Abundance is holistically balanced and provides the nutritional harmony that’s important to help your canine achieve and maintain optimal health by improving the health and longevity of our companions. Active breeds like the Australian Shepherd require more calories, but the calories should not be "empty" and that is why we have chosen a premium dog food like Life's Abundance. Because of the nutritional value in Life's Abundance, you will find that you will feed less. It doesn't take as much food for the same nutritional value as other premium foods. I have gone from 1 cup per meal to 3/4 cup per meal for my dogs. It does not have artificial coloring or flavors, no corn, wheat or corn/wheat gluten. Everything is made in the USA, nothing is outsources and they have had NO RECALLS! You can talk to the developer of the food directly anytime for any reason pertaining to her product. Life’s Abundance is holistically balanced and provides the nutritional harmony that’s important to help your dog achieve and maintain optimal health. There is nothing artificial fillers in this food that so many dog foods have. Life abundance have an array of items used for humans and pets. Feel free to check out their site. As a family, we use quite a few of their product and have loved nearly all of them. Below you will find other dog items that I highly recommend and have had great success with. If I can see a significant change in my dog, then I recommend it.